Description: The spirit o' the Irish in a wee moglin form! Happy Lucky Day! Description: The spirit o' the Irish in a wee moglin form! Happy Lucky Day 2015! Description: The spirit o' the Irish in a wee moglin form! Happy Lucky Day 2014! Description: The spirit o' the Irish in a wee moglin form! Happy Lucky Day 2013! Description: The spirit o' the Irish in a wee moglin form! Happy Lucky Day 2012! Description: The spirit o' the Irish in a wee moglin form! Happy Lucky Day 2011! 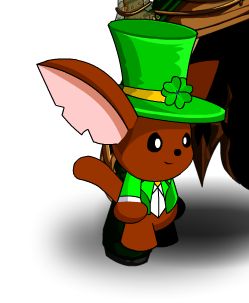 Description: The spirit of Irish in wee moglin form. Thanks to Caemera, Decan and OmfgRly.